Not Sure Which Book to Read Next? Check Out The Cortlandt Boys! I get it: You’re busy. Finding time to read fiction novels is probably a challenge. And yet at the end of a long day, is there any better way to relax and unwind than getting lost in the pages of a good book? 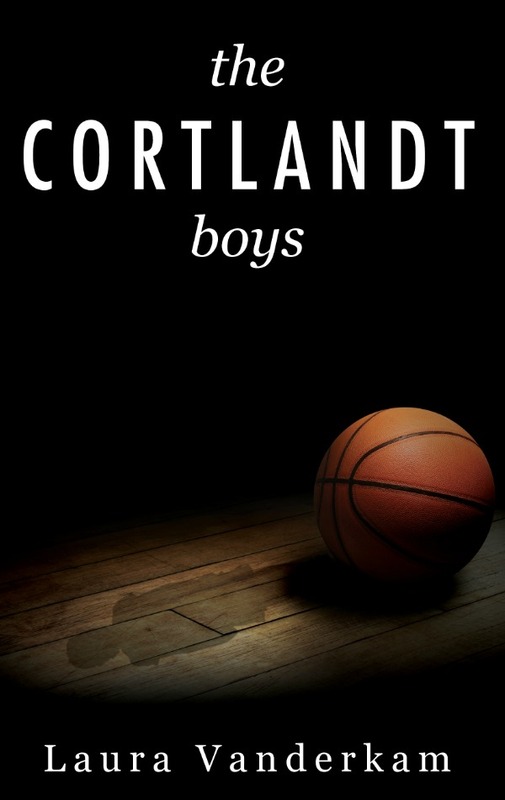 Whether you’re in between novels right now, looking to add to your “must read” list, or just in need of a good way to de-stress, you should check out The Cortlandt Boys by Laura Vanderkam. Laura is a nationally recognized nonfiction author who recently published her first fiction novel. It’s fun to see an author stretching her writing chops like this—going outside of her normal style to pursue her passion in a new and exciting way. The book is about a small town high school basketball team that wins the Pennsylvania State Championship in an improbable way. The story then revisits the characters one and two decades later to explore how their youthful success impacts their lives down the line. It’s part sports novel, part mystery, and part romance, with unexpected twists and plenty of thoughtful insight—in other words, there’s something for everyone! I recently had the pleasure of interviewing Laura about her novel. Here’s what she had to say. Where did you get the idea for The Cortlandt Boys? Many years ago, the basketball team at my high school in Indiana won the state championship. The local newspaper did a follow-up story ten years later looking at what the boys had done since. Some had been quite successful, even playing in the NBA, but others led more quiet lives. I got to wondering what life would be like when the biggest thing to happen to you happens when you are 17. That was the beginning of The Cortlandt Boys, though the characters themselves are not based on anyone I went to school with. The readers of this blog are mostly moms looking for a good story to unwind with at the end of a long day. Books that are surprising, engaging, and insightful fit the bill! What will those sorts of readers love about your novel? I like a good story, and when people are as busy as your readers, I don’t want to bore them. There’s mystery, romantic intrigue, and fast-paced sports scenes. At the same time, I try to address deeper questions about what it means to live a good life, and how free we are to shape our destinies. I hope your readers will find my novel accessible and thought-provoking. What made you want to write a fiction novel, since most of your work is nonfiction? I won a few short story contests as a kid, and writing fiction is always something I wanted to try again. The market for non-fiction is more straightforward, so that’s how I make my living. I really like the power of that type of writing. But I wanted to challenge myself, and I thought this was an interesting story. I never want to get bored in my writing career! I like to write both fast and slow. First drafts are tough, so I find it best just to soldier through. I try to crank them out quickly! Then I go back and polish. Then I step away from the manuscript for a while, come back to it, and polish again. Then, just about the time I think the manuscript is perfect, I get professional editors involved, and realize there are still huge flaws. I come back, edit again, etc. How has being a busy mom and woman influenced your writing? I’m fortunate in that writing is my day job. I didn’t have to carve out time to write on top of a different job plus caring for my family. That said, I still found it difficult to give fiction a place during my work day. In my mind, my normal work hours should be billable hours. It was always easier not to do something speculative. So I wound up getting an evening babysitter one night per week and writing much of the first draft of the novel in the library. Somehow having it be a different time and place helped me get over this hang-up. What else should we know about your novel? The town of Cortlandt is loosely modeled after the geography of Jim Thorpe, PA, which sits on the edge of the Poconos, wedged between the hills and the river. It’s a fascinating, historic town. When I was finishing up a draft of the book, I took a weekend “writing retreat” there. Granted, I didn’t leave my hotel room much, but walking around the town for my breaks helped with inspiration! Check out The Cortlandt Boys on Amazon, Barnes & Noble, or iTunes, and stop by Laura’s website www.lauravanderkam.com, where she blogs regularly on topics like time management, productivity, and parenting. She’d love to hear from you! Laura Vanderkam is the author of several books, including the novel The Cortlandt Boys, and non-fiction books on productivity including 168 Hours and What the Most Successful People Do Before Breakfast. Her next book, I Know How She Does It: How Successful Women Make The Most Of Their Time, will be published by Portfolio/Penguin in June. Her work has appeared in numerous publications including Fast Company and USA Today, and she lives outside Philadelphia with her husband and four children. What’s your favorite type of book to read? Fiction or nonfiction? After my 6th Jodi Picoult novel, I am taking a break, but really wandering around lost without a good fiction at hand. Can’t wait to get a hold of this — thanks for the suggestion! This sounds like a great book to pick up… I have about twelve half read books waiting to be finished. So when I’m done with those? I may just get to this one! It’s true- I do put off reading books a lot of the time 😉 I think audio books are an easier way to get them in sometimes! Sounds like a great book. I usually read Christian fiction. I really enjoying reading fiction, but I always struggle with what to choose next. I’m glad you mentioned this one!